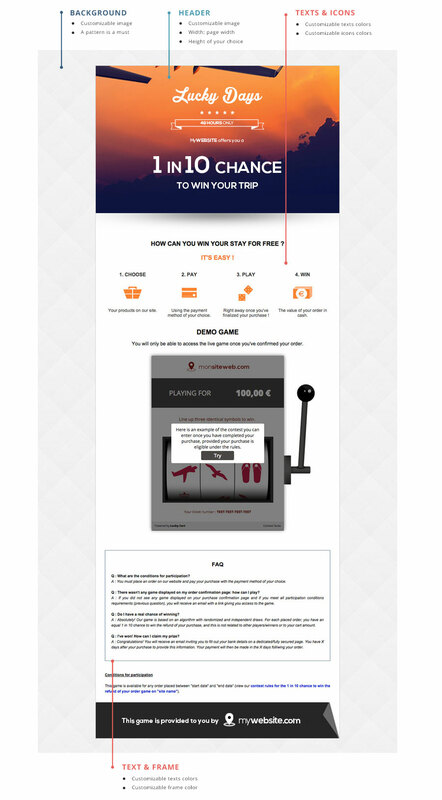 The Find out more page is a chance to introduce the different stages of the game to your customers, showcase the latest winners, run a game demo and answer FAQs. This page is responsive and can be integrated into your site as an iframe. A header (message "One chance in X of winning"): size 800 px wide, any height / jpg format. Check out our online example of this page.